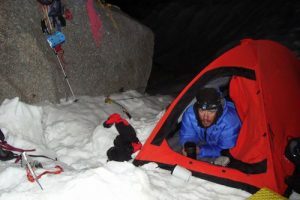 “Sandwiched between troubled Northern Pakistan and the Tajik Pamirs is an awesome 200km chain of unclimbed glaciated peaks reaching up to 7500m — the Afghan Hindu Kush. 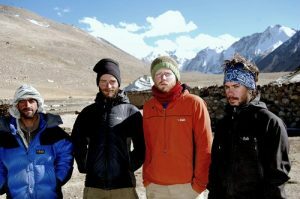 A team of five British/New Zealand guys (including a glaciologist, conservation biologists, a grassland ecologist and a BBC researcher) headed deep into this remote mountain range, their aim to climb a new 6000m+ mountain in the completely unexplored Qala I Hurst valley of the Wakhan corridor but also to collect crucial data on glacial temperature fluxes to contribute to ongoing work on glacial recession and more immediately crucial (for the population) – snowmelt water resources in the region. A trekking trip last year to the ruggedly beautiful Wakhan corridor in NE Afghanistan, together with a deep belief in the importance of well-managed tourism for remote and desperately poor mountain communities in the region – spurred me into organizing a return climbing expedition this summer. Our objective, the Qala-I-Hurst Valley, is one of the many high altitude valleys dominated by jagged peaks in the Afghan Hindu Kush – the valley itself had only been visited once before by climbers and all peaks remained unclimbed. 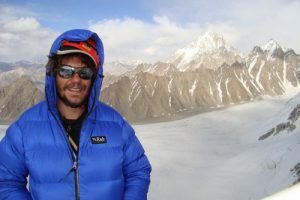 The North ridge of Koh-I-Beefy, 5410m (in memory of Jamie ‘Beefy’ Fiddes) was climbed third time lucky – previous attempts were thwarted by heavy snowfall and ‘Dal’ induced sickness! The route would rate as around Alpine Grade AD+/D-, pitches of ice at Scottish IV, and easy rock to UIAA II. Descent was by snow bollards and Abakalovs. Route length 600m. Fantastically stable weather, great rock and ice, countless unclimbed peaks, together with the incredible hospitality of local Wakhi people make this a very special region to climb/hike in. This is one of the last unexplored mountaineering destinations that our shrinking world has to offer – and a true adventure! This hidden mountain kingdom is a world away from the troubles of ‘mainland’ Afghanistan both geographically and culturally. While not an obvious travel destination in the current political climate – a trip to the Wakhan is certainly not a crazy idea. Challenge your perceptions of Afghanistan and check out – http://www.mountainunity.org/ or come see us at the Kendal Mountain festival 19 – 22nd Nov for a chat. We will be heading back out there next year with the aim of climbing the stunning granite and ice clad pyramid of the 6500m Baba Tangi and further supporting the return of expeditions to this magical part of the world. A big thank you to our fantastic local guide Gorg Ali, David James at Mountain Unity and Rab for the gear they supplied; all three helped make this expedition a great success. We were especially impressed with Rab’s ‘grass root’ support for our small expedition – increasingly rare in world of outdoor gear manufacturers.